I'm starting a new series this year called 'inspired by'. I'll be the first to say that all my ideas don't just come out of my head. I LOVE pinterest. And that's just what this series is about. This layout was my inspiration. I loved the triangles and so I kept very close to the layout. I even went with a similar color scheme. I added a few extra embellishments of course because that's my style. I love the little dimension that the twine add's as well. I love how this layout turned out. I'd love to see what you've been inspired by if you use Pinterest. Please leave you Pinterest name in the comments so I can follow you. 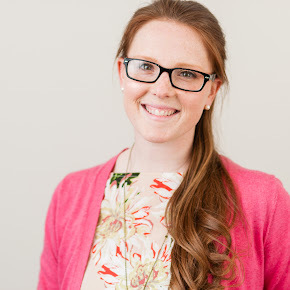 Love this idea of a new series for blogging! Love the layout! 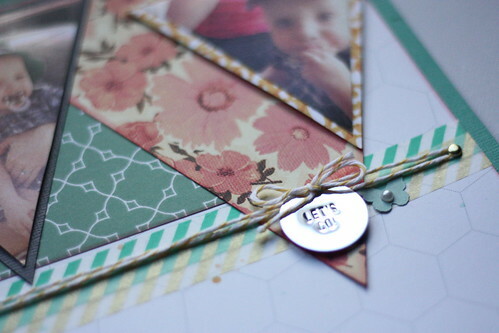 what a cute layout, love the triangles! Great layout. 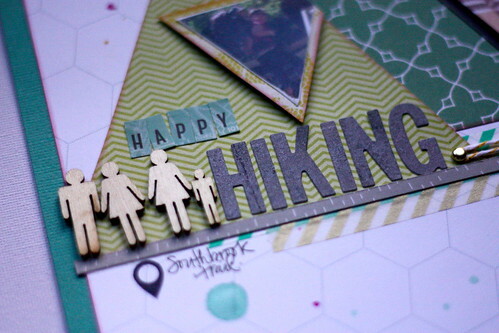 I like how you used the washi tape to ground the triangles. I like the twine too. 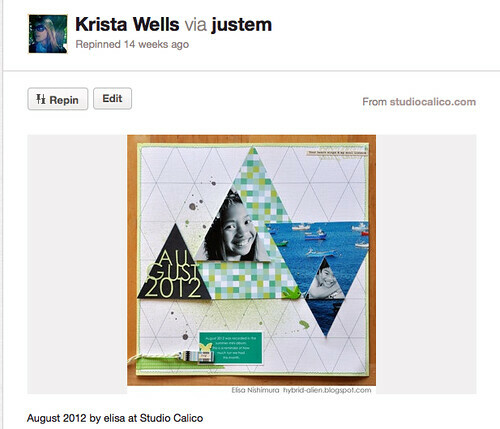 I'm doing a similar thing on my blog called Project Pinterest! It's so fun to finally use the inspiration you find on the web isn't it? Love how your page turned out! This is such a cool layout! It is so striking. Love your interpretation!